Rainy day? No problem. 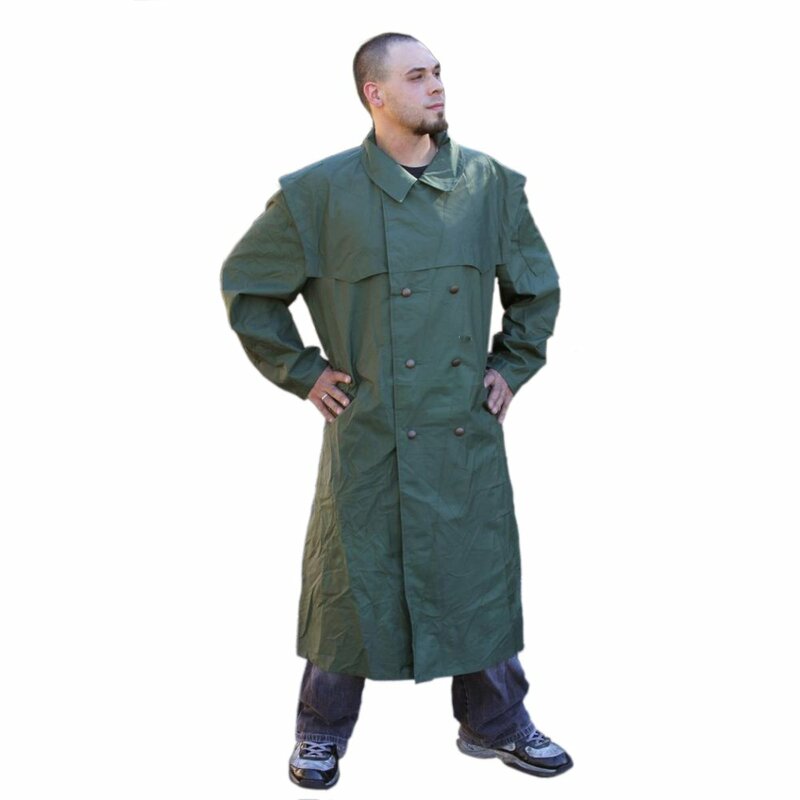 This tall, handsome raincoat is not only light-weight, but it's made of Gore-Tex. Gore-Tex is famous for its ability to keep water out while allowing breathability at the same time. If you're not familiar with it by now, you will be thrilled when you give this coat a try. Where did these come from and why are they so cheap? They are used, but you wouldn't know it. They come to you all the way from the German police force. If anyone knows about wet weather, it's the Germans. These officers have to work in extreme conditions and have depended on these raincoats for years. Now they can be yours. They're hooked up with two rows of buttons and a large flap all the way around the torso to make sure you're getting air and not any rain. After all, when you're working hard rain isn't the only moisture you have to deal with. Another thing which makes this raincoat stand out is how long they are. For the average, joe these coats will land somewhere just above the top of your boots. For an NBA player, they'll still hang below the knee. Give this coat a chance and you'll never look back.